Roofbase is a specialist roofing merchant working with the industry’s leading brands, dedicated to bringing the best in roofing products and accessories to your local area. 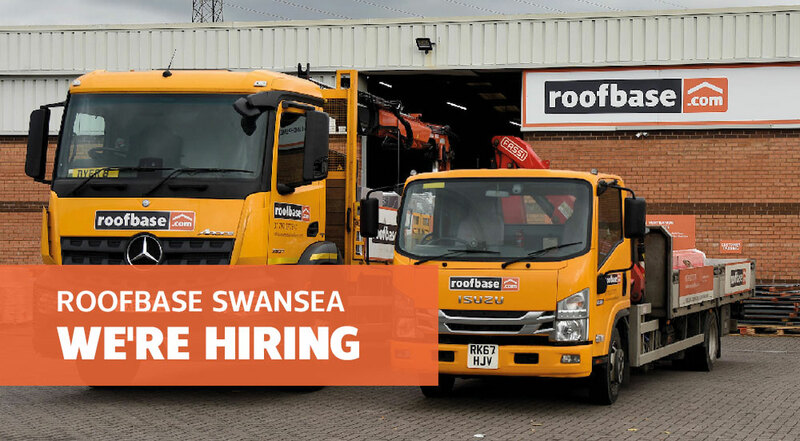 We’re currently seeking a HGV delivery driver to join our professional team at Roofbase Swansea, available for immediate start. Candidates will ideally hold a HIAB licence, Class 2 HGV licence and a fork-lift truck licence. Duties will include loading and unloading of roofing materials and other associated tasks of a multi-drop driver. Applicants must have no more than 6 points on their licence and no convictions under DD, ID or DR categories. Product knowledge of roofing materials, construction and accessories is an advantage though not essential, as we will provide thorough training. You will be a good communicator, with a natural desire to help build relationships with our customers whilst providing friendly and efficient customer service. Hours of work are Monday to Friday 7.30am to 5:00pm. We offer competitive rates of pay, 23 days holiday (plus bank holidays) and a company pension.